Karaj Collective and Azadeh, 9th March 16 in Camden Town, London. 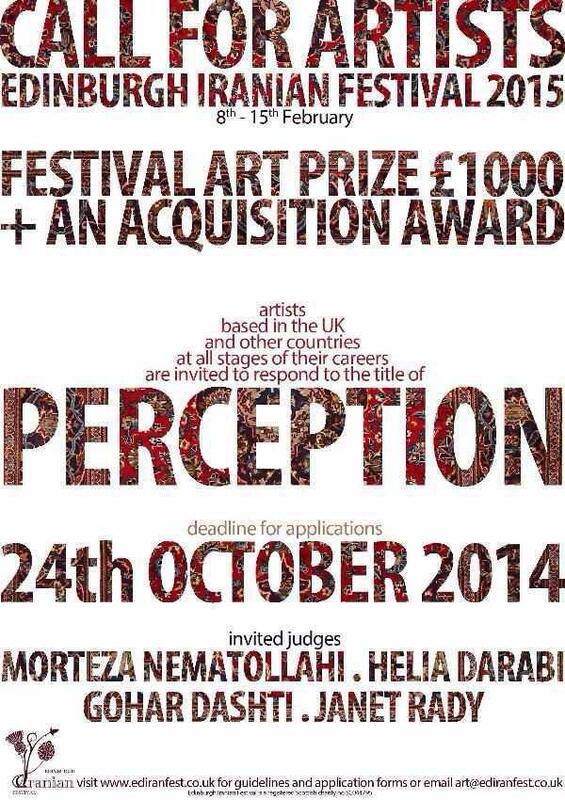 Call for Artists with 24th October deadline. Reflection of Silence is a new collaboration between four musicians from different backgrounds, from rock to Iranian music, with a passion in the art of creative improvisation in Iranian & Kurdish music. The goal is for the artist and listener to become ecstatically lost. The evening will open with Art of Improvisation in Persian Music, followed by a contemporary approach to a set of ancient Kurdish pieces from different parts of the Kurdistan region. 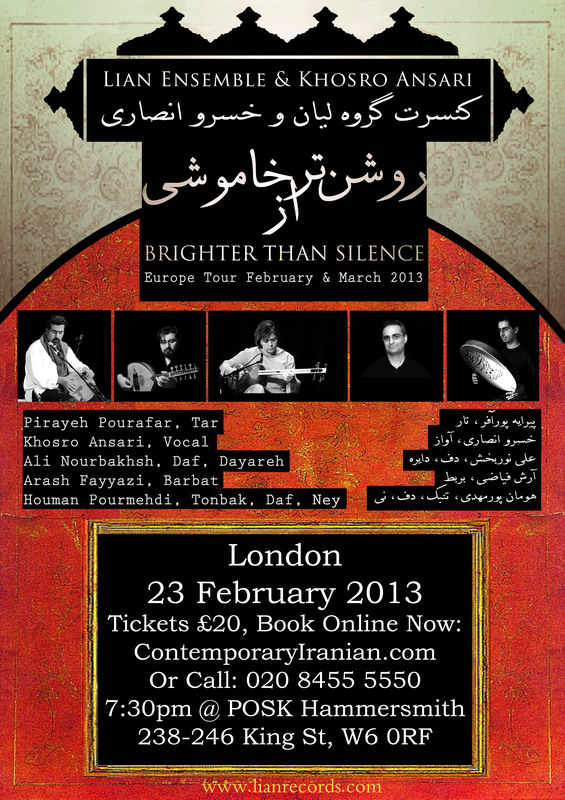 CI is proud to present Lian Ensemble and Khsoro Ansari’s concert in London as part of their World Tour in 2013. 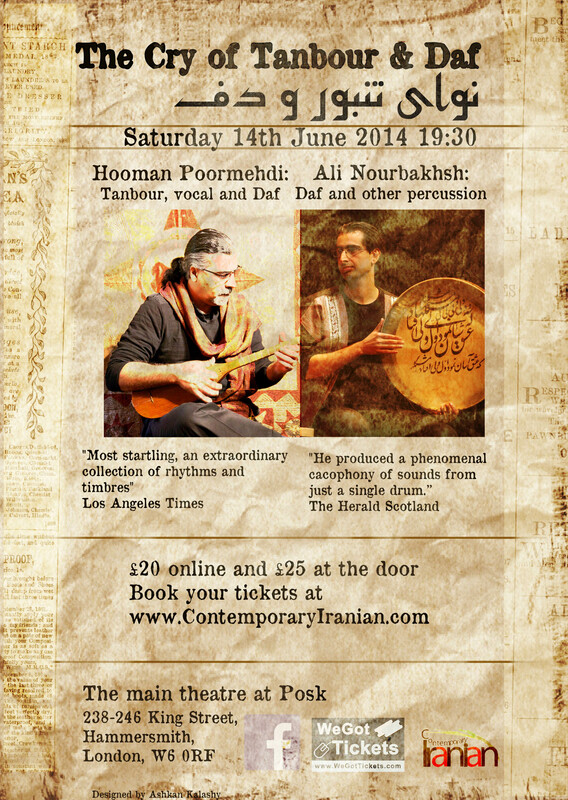 Contemporary Iranian is woking with some great Iranian musicians to make Persian music lessons accessible to everyone, everywhere.